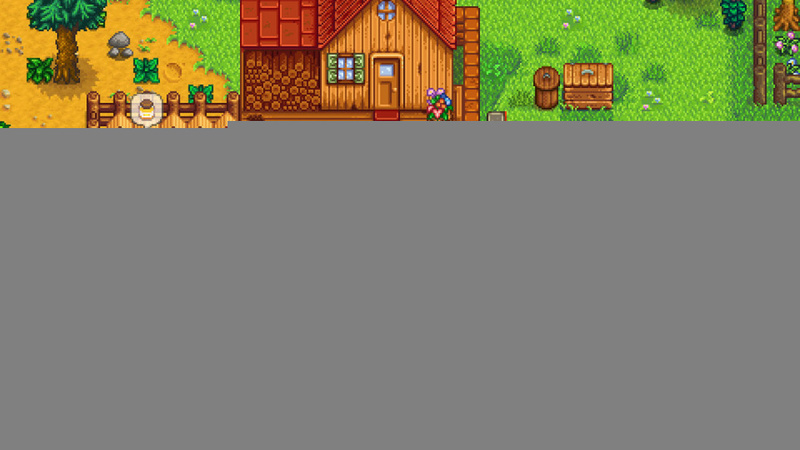 Stardew Valley! Axiom Verge! Mario & Luigi! Layton! Tumblestone! Much more! It's Nintendo Download Update time, ladies and gentleman, and it's another cracker. This week brings an impressive range of new releases on Switch, both at retail and as download-only titles. The 3DS also weighs in, with two notable retail releases on the veteran handheld; there's a lot to get through, so let's get to the details. 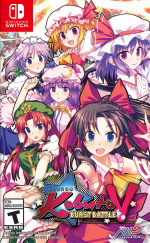 Touhou Kobuto V: Burst Battle (NIS America, $29.99USD) - A spin-off of the popular Touhou Project series, Touhou Kobuto V: Burst Battle is described as a 3D shooter with fighting elements, which tasks you with taking down opponents 1 vs 1 using projectile and melee attacks. Available from 10th October. Tiny Barbarian DX (Nicalis, $29.99USD) - An action platformer that pays homage to the retro era, it supports local co-op and also has "four lengthy episodes". We suspect most will aim to get the physical edition of this, however, which will include various goodies in the first run. Available from 10th October. 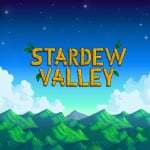 Stardew Valley (Chucklefish LTD, $14.99USD) - Since it was announced earlier this year this has been top of plenty of wishlists. A hugely popular game across PC and consoles, this will be the first iteration that'll also be playable on the go. It adds its own modern spin to Harvest Moon-style ideas such as tending to your land and forming relationships with suitors. We'll bring you a review as soon as possible. Axiom Verge (Thomas Happ Games, $19.99USD) - An innovative Metroidvania that in the eyes of some (including our reviewer) is a modern classic. On the surface it looks traditional, but an innovative approach to glitches and their impact on the world helps to make it a distinctive experience. We love this game, and that didn't change in our Axiom Version Switch review. 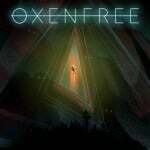 Oxenfree (Night School, $19.99USD) Originally released on PS4, Xbox One and Steam in 2016, Oxenfree casts the player as Alex, who travels with her stepbrother Jonas to an abandoned military island packed with hidden secrets. The game offers a multiple-choice conversation system that alters the story as you play, building your in-game relationships with every reply, statement and question. There's also a radio which allows you manipulate the game world and make contact with the strange and mysterious forces that have been dormant on the island for the past 70 years. Critically acclaimed when originally released, we'll check it out on Switch. Available from 6th October. Earth Atlantis (Headup Games, $14.99USD) - Looking a lot like the classic arcade blaster In The Hunt, Earth Atlantis places you in a world where the majority of the planet's surface is covered in wet stuff. There are plenty of enemies to take down as you embark upon a 'monster-hunting' approach to the side-scrolling shooter genre, all with a distinctive art style. We'll had a review with you soon, in the meantime here's an interview with the director and lead designer. Tumblestone (The Quantum Astrophysicists Guild, $14.99USD) - The name may sound familiar, as this was a 'Nindie' title given a big push by Nintendo on the Wii U eShop last year. It's a game that reminds us that puzzle titles can be engrossing and a lot of fun, with plenty of content, modes and options to play alone or with buddies. We'll take another look on Switch, but in the meantime you can check out the strong recommendation in our Tumblestone Wii U review. 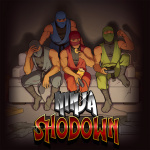 Ninja Shodown (Rising Star Games, $14.95USD) - Another potential winner to add to the stack of entertaining local multiplayer games on the Switch. This one is all about chaotic arena brawls (either co-operative play or as opponents) and looks like it could be fun. We'll see whether it truly has the way of the ninja in a review. 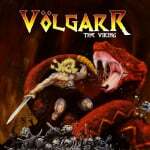 Volgarr the Viking (Crazy Viking, $9.99) - Also coming to Wii U at some point this has now made its way to the Switch. It pitches itself as a tough action platformer in which you'll die a lot. It looks a tad rough visually, but that doesn't mean it won't be a lot of fun; we'll try it out for review. 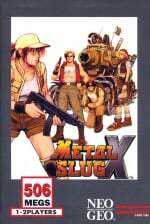 Metal Slug X (HAMSTER, $7.99USD) - We've already had three ACA Metal Slug titles on the store to date, though X is considered to be pretty darn good - it's a rearranged version of Metal Slug 2 (fixing that game's drastic slowdown) and we loved it in our Wii Virtual Console review. Mario & Luigi: Superstar Saga + Bowser's Minions (Nintendo, $39.99USD) - One of the most beloved entries in the RPG series gets a revamp on the 3DS, with updated visuals and a new strategy-light spin-off campaign. Though the all-new content is a tad uninspired, the main game is still an absolute delight to play - we get into why in our Mario & Luigi: Superstar Saga + Bowser's Minions review. Available from 6th October. Layton's Mystery Journey: Katrielle and the Millionaires' Conspiracy (Level-5, $39.99USD) - After spin-offs and experiments the Layton series goes mostly back to its roots in this new release, with Katrielle and chums solving a lot of puzzles while solving a dozen cases. It's a welcome return to form for the IP, as we explain in our review. Available from 6th October. Symphony of Eternity (KEMCO, $7.99USD) - KEMCO is bucking the trend, changing up its modus operandi to bring us something completely different... nah, just kidding, it's a retro-styled RPG. There's a legendary weapon and an epic quest, and that - ladies and gentleman - is another KEMCO RPG 3DS eShop release. It might be good though, to be fair. That's the Nintendo Download line-up this week - let us know what you'll be downloading in the poll and comments below. Amazing week! Just Stardew for me, though. How come we have now the note for american release before the european one, although they're out today for europe !?! Tiny Barbarian seems expensive. Looks cool though. As soon as Splatfest is finished, I'll be jumping in to Stardew Valley - I'll just be too busy grinding chunks for the rest of the week to have time for any other game...no matter how awesome it is! Stardew Valley and Metal Slug X for me. I'll wait for reviews of Earth Atlantis but it's looking promising. Another stellar week in the life of Switch. What a console it's turning out to be. Can't believe Tiny Barbarian DX is $29.99.What a rip off! Nicalis are taking the piss! After them asking for $39.99 for Binding of Isaac and $29.99 for Cave Story I shouldn't be surprised . It's not just Nintendo gamers they're taking for mugs though, it's the same price on Steam. The only difference is, it was released on there 4 years ago. Man, a real smasher of a week. Axiom Verge, Mario & Luigi, and Stardew Valley plus what seem to be some other good games (heard great stuff about Metal Slug X). Axiom Verge for me as I've never played it before. That said, the Switch might just have one of the best first years I've ever seen a console have. Crazy when you compare it to the enormous droughts Wii U had. Good grief! That's a lot of nice games to choose from. I've been waiting on Axiom Verge, and I'll definitely grab Tiny Barbarian. Also intrigued by Earth Atlantis and Volgarr the Viking. Some will have to wait a little while. Stardew Valley is the obvious one to get but Earth Atlantis is what I'm most excited about this week. I've had my eye on it for quite some time and it's pretty cool to see it finally here. What ten games only?! We'd had twenty last week! @gurtifus It changed to Thursday's after the arrival of Switch. Now us Europeans have to wait around 20 minutes after the NA update to find out what awaits us. They're mostly identical updates now anyway. Unless if Touhou turns out to be good, it's just Mario & Luigi for me. I have Rune Factory 4 on the back burner, so no Stardew Valley for me. I would absolutely buy Stardew Valley, but unfortunately I already own it on PC. Definitely recommend it. Today is coming out as well the big update for 3Souls in Wii U that add to the game the 2 missing chapters: Nophes and Nidemon. This is a free update for everyone with the game, and it make the game finally completed . @techdude Yep, to make it worse physical buyers will receive some goodies along with their cart and box.I won't even consider buying it until I see it on sale for $14.99 tops. I’ll be downloading Stardew Valley as soon as I’ve get home from school! Stardew Valley for sure! Also adding Earth Atlantis, Axiom Verge, Metal Slug X, and Oxenfree to my wishlist, although $20 seems expensive for Oxenfree. Hoping Earth Atlantis will be good. Love the style and all but hope it's meaty enough and has some replay value. Getting stardew, touhou and metal slug. The eShop has been on fire! Stardew Valley for me! I've played it before, but it will be great to have on a portable console. Stardew Valley is tempting but not sure I have the time to commit. Erring on the physical release for Axiom Verge. Anyone else remember when the Wii U got this many compelling titles in a week? No? Me neither. @Athalias The eShop releases don't come out until noon, Eastern time. Nothing for me - Thought I would have Battle Chasers for the Switch to hold me over till Mario. really want it for the Switch so will wait. Back to my VITA on the train, and finally finishing Cold Steel 2. This is the first time in many weeks that I've checked the "nothing for me this week" box. I have way too many games to play, and very little time to do so. @thesilverbrick If you disregard all the junk Wii U received that's about 2 months worth of Wii U updates in 1 week for Switch. Last weeks update was 4 or 5 months. I'm probably being over generous too. @OorWullie I'm actually getting overwhelmed, to be honest. My backlog on Switch is already pretty extensive, and we're just getting started. @ThomasBW84 "Earth Atlantis places you in a world where the majority of the planet's surface is covered in wet stuff." Nothing for me, but I'll be picking up a physical copy of Axiom Verge. For now, I'll just be getting just SV. I need to finish Golf Story as well. Eventually, Axiom Verge and Oxenfree will be mine. I've heard so much praise for all of these games. Excellent week! @DoctorWily That... is a good point. @thesilverbrick Yep, I'm going to have to start adding games to a wishlist. I haven't been doing that so far, I've just bought every game that I fancied. With the rate they're coming at us now, that's not going to be financially possible. Even if it was, there's not enough hours in the day to play them. I have the physical editions of Axiom Verge and Tiny Barbarian DX pre-ordered, but they don't come out until November 21 and November 30, respectively. So while I'm excited to play them, waiting for those copies will give a little bit of time to clear the backlog. I must be one of the few who doesn't understand the draw to Stardew Valley. Can anyone who's played it on PC weigh in? It just seems like a Harvest Moon game, but you know, from a few years ago, back when the series had more freedom. Most of the Switch updates this week are of interest and wishlisted...but last week was Golf Story, which is awesome, and I'm still finishing some retail carts, so they'll just have to wait. I'm getting Stardew Valley but I'm also interested to see how Earth Atlantis and Oxenfree are and I'm also picking up Mario & Luigi: Superstar Saga + Bowser's Minions and the two amiibo from GameStop tomorrow. Another great week for the Switch. Going to have to grab 3-4 Games!! Didn't we just have a great Switch eShop week? Nintendo has this timed right, I think. Switch stock in the US is prevalent (even SNES classic launch was notably good). BEEG Mario game releasing at the end of the month, the eShop releases are going full tilt in terms of quality and quantity. Surprising upcoming AAA 3rd party support in the news (Doom, Wolf, L.A. Noire). Zelda is still amazing for those who haven't played and it will enter the news cycle again when the story DLC arrives. It's not even Holiday shopping season yet! If all of this doesn't pay off for Nintendo, it should just give up. I'm somewhat disappointed that Zero Gunner 2 didn't come out this week, it would be nice if Zerodiv gave us a proper release date. Anyway, i'll get the retail version of the Touhou game. Will I be buying Stardew Valley for the third time once I get my Switch? Nothing for me this week. Still working on Golf Story and a couple games on the SNES Classic, plus the SplatFest this weekend... I'm swamped. Gotta get caught up before Mario comes out. Stardew is a later buy.... Maybe over Christmas break. Nothing for me this week! /s seriously, I don't know how anyone can say that.There are only three reasons I can think of to say that. 2.They don't have a Switch. If I get M&L+BM, I'll get it physical. I'm familiar with Stardew Valley, but isn't it a Harvest Moon game? I'll have to check out Tiny Barbarian Dx, but at that price, it'll have to go on the backburner, if I end up liking it at all. If I do get it, it will be physical. Furthermore, I don't need to purchase a new game every week, or month. Games are a fun hobby, but it's only a decent part of my life, not my entire life. Moreso, other games I know I will want more. Those games get the priority, & money. Good stuff this week. I want SDV but not until I beat Golf Story first. I know if I pick up SDV I'm in trouble, so I gotta practice restraint. I don't know about the 10 NL gave Axiom Verge. I watched some play throughs of it on YouTube and it didn't really grab me. Anyway, good stuff on display here. Hope everybody has fun. Getting a physical copy of Mario & Luigi. My next big purchase is going to be either just the game of Odyssey or the Switch bundle (if I don’t have a big bill on the way). Otherwise the Switch might have to wait until next month, maybe there will be a Black Friday deal on the Switch anyways. It's all about Stardew Valley for me. @OorWullie Reread your comment and found that you mentioned that it is the same price on Steam, so it has nothing to do with going Physical (reason for the edit). Can someone sell me on Tiny Barbarian? Seems expensive for what it is. Looks like a 13-15-20 dollar game (not an insult!) 30 seems really steep. For physical, 30 is ok, but I wish the digital was cheaper. Unless this is really really good, need a recommend for or against. I just want to download Stardew Valley already.. 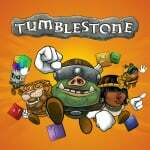 I'm so restless..
Tumblestone is so much fun especially for multiple people. To me this is a must buy, especially if you have 2-4 people who would want to play. My wife very much enjoys the game. Will wait for Oct 12th for Volgarr on the Wii U! Wow a great week. I didn't realize Axiom Verge was coming already. Gonna get that and Stardew Valley. I was hoping for Zero Gunner 2, but----I can't really complain, since I still haven't downloaded Thimbleweed Park, Golf Story, or Sonic Mania. I've heard great things about Stardew Valley, so it's on my maybe pile. I don't want to go too overboard, what with Mario coming out in three (!!!!!!) weeks! I guess I've been living under a rock because I don't know anything about Stardew Valley, but I'll try it out since everybody is recommending it. Also, I know this isn't a Nintendo game but Persona 5 (PS4) is $40 this week at Gamestop. I don't know if the PS3 version is also reduced. Downloading Stardew Valley as soon as I can. 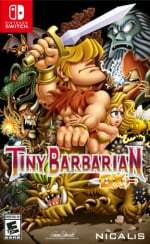 I'll be getting the physical copies of Tiny Barbarians and 88 Heroes on the 10th. Pretty good week overall. Nothing for me this week. With all the hype surrounding Stardew Valley I would normally get it but I've got too much to finish already. I'm pretty far into Steamworld Dig 2, only about 1/3 of the way through Mario & Rabbids, and still haven't tried the new fighter in Arms. I'll be buying Odyssey and Fire Emblem soon, ah so much to do! I've never heard of Earth Atlantis, but I love Metal Slug and In The Hunt, so this looks like something that could scratch that itch. Color me curious, perhaps even moreso than I am about Stardew Valley. Granted, I've got a big backlog and a small budget this month so I'll probably have to pass on these until next month or so. I feel your pain! There is way too much to play right now. I don't know what other consoles you own, but between my Switch, 3DS and PS4, I've got a ton of gaming to do and the holidays are just getting started, with more games on the way! @Biff_ARMStrong so does Nintendo’s website 10/10. Looks like it will be at retail also! Great week, but sadly I'll be waiting to pick up my select titles. I've spent too much money recently and I have other games I need to complete as well. Christmas break I'll be picking up Stardew Valley and the new Layton. Mario and Luigi is a possibility. Tough decisions to make here. I'm debating between Stardew Valley, Axiom Verge, and Earth Atlantis. @ap0001 If you don't already have them, Kamiko and Pan-Pan are each only $5 and are both fantastic little games. Admittedly they're short, but they do what they want to do and do it well. Stardew Valley, Axiom Verge, Oxenfree, and Earth Atlantis are going on the wishlist. Golf Story jumped in and took Star Dew's formerly reserved slot for me. I'll come back for it later... probably after Odyssey though. ...I think the Nintendo Download updates are hinting at me that I should finally get a Switch. XD Nothing for me this week, though I'll consider getting Katrielle and the Millionaires' Conspiracy at a later time. Most likely nothing for me until FE Warriors. Axiom Verge, Earth Atlantis, & Oxenfree for me. I hope people give Oxenfree and Volgarr The Viking a chance. Both are great. @crackafreeze waa thanks for letting me know. i just download it and I am playing it right now. haha. I know it's buried under 80+ comments, but if you haven't given Tumblestone a chance, you are really missing out. One of my favorite downloads on the Wii U. Great for fans of puzzle games! @Ignatius You had me at puzzle game. It looks super fun, that's probably the first one I'm going to try this week. The trailer cracked me up..."You can play as a SAUSAGE! (In a hat)" It's worth a go just for that. I just got my Switch and a modded Nes Classic (91 games) I bought earlier in the year and haven't played since Switch came out. Yeah there's so much coming out this holiday season. Odyssey, Fire Emblem, Skyrim, Doom, Xenoblade 2, Resident Evil, Rocket League & various indie's along the way. Will be a busy winter for sure. The constant barrage of good/excellent games on the eShop is both amazing and a curse. Where do I find the time to play all these games? This is all I need on the platform in addition to Nintendo games and the odd exclusive. Any way, I've already bought Stardew and Volgarr and will probably buy Oxenfree as well, but either it isn't up yet or I have missed it in the shop. Barbarian looks interestering, but I feel that the price of entry is too high compared to all the competition on the store. I can get both Golf Story and Stardew together for that kind of money, for example. I have the same problem with 98 heroes and Sine Mora. I don't see much of a compelling reason to pay upwards of 10 euro extra for these games (and in some cases it's probably a mark-up because of the physical versions as the games cost less on other platforms, which is even more annoying). But yeah, good times and more than enough alternatives to not really worry. Earth Atlantis will be mine once I get my Switch. Probably gonna end up picking up Touhou. Might wait though as I want both FE Warriors and Odyssey later this month lol. Hopefully there's a good holiday sale so I can pick up One Piece and Touhou together. Pretty intrigued by Ninja Shodown as it looks right up my alley and could be a go-to for playing with my son if it turns out as I hope. I also want Earth Atlantis to be great, but I have concerns. My whole family loves some Lovers... And my wife and kids are excited about Stardew Valley. I'll probably buy Oxenfree again, but the price stings after getting it previously for a small fraction. Good week! Tumblestone on Switch is cheaper than on Wii U. Perhaps I'll buy this time. Been looking forward to Stardew Valley and holding off on other versions for months now. Gonna buy it as soon as I get home from work! If I still had a Switch I would be getting Stardew Valley today. But Nintendo has ticked me off for the last time with the ridiculous Eshop Prices, the closure of the Wii Shop (I guess it had to close sometime, really Why? ), Calling Eshop only titles Retail downloads to justify the huge price on certain titles, Releasing very few retail games on Switch, Porting games from the Wii-U and Wii Shop and charging a couple dollars more. Still not proving they are dedicated to a decent online service and doing it exactly as it's been done in the past with Confusion and complication. If somebody from Nintendo would look me up and my purchases they would realize they lost a huge customer, but really I don't matter one bit to them. So I will play what I have Wii and New 3DS. Nintendo got a Huge amount of money from me but they won't anymore. To be honest I hate where all gaming is headed with Nickel and Diming to death by starting these free to play with DLC charges. I hate the fact that Dragon Quest X should have been released on Wii in North America and wasn't. I also have a beef with Capcom and it's crappy stance on Monster Hunter for Switch in North America. Anyway it's not exactly good bye as I still have my New 3DSXL which I will play and love for years. To me the 3DS is the last great console release there ever was and ever will be. If story of seasons wouldnt release in a week i would definitely buy stardew valley. But its hard not to buy it because yesterday i finished samus returns and waiting for the next game is really painful even if its just for a day. I hope superstar saga delivers. Played the two mario and luigi games on the 3ds and found they were underwhelming. I'll probably pick up Touhou at retail. What happened to Nintendo ACA for this week? Mario Bros undersell? Oxenfree, Völgarr the Viking and Tiny Barbarian DX are the most interesting/ fun looking games for me this week, and I hope Stardew Valley and Tumblestone (and Golf Story, SteamWorld Dig 2, and Thimbleweed Park) come to retail as well. 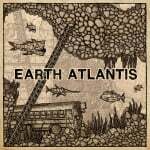 Earth Atlantis looks cool, but cool looks isn't everything, Need a demo or review. Touhou looks like a poor man's ARMS. Is it as bad as it looks? I was genuinely interested in this game until I saw the PS2 graphics. 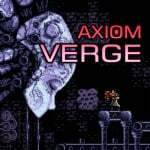 My current favorite Steam game is Axiom Verge, and I recommend it. I'm looking forward to a review of Touhou. Hopefully, the rest of the game is more polished than its graphics. @Windy Everything about the 3DS is terrible compared to Switch and I love my 3DS(s) as much as anybody. My wallet is screaming for help!!! @ACK I'm really glad for you. I actually wish I felt the same way but I don't. Maybe it has something to do with my age 52 and I'm just settling into the stuff I have. I hope you have great times with your Switch. That said, while I still take a 3DS everywhere and play my old Wii often, the nimble utility and overall practicality of a Switch makes all those old systems seem so clunky and rigid. 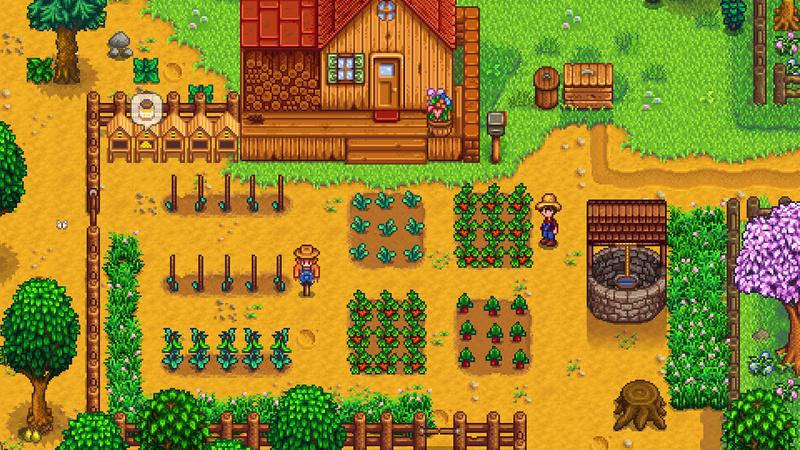 Stardew Valley is the "king of indies". It's not as smooth as "story of seasons" but overall its a better game (according to majority). Thing is it cost only 15$ when new Story of Seasons (Harvest Moon) will ask trheee or four times this amount of amount for a lesser game. Big N should take a cue and stop milking its loyal customers. @ACK yeah my Backlog is huge. I have a nice number of RPG's on the 3DS and probably have every RPG on Wii. I also have a PS2 with 30 or so RPG's I am starting to get back into other genres. Starting to look for more 2d platformers. I picked up a Boy and His Bubble on Wii also playing Muramasa. Love the looks of those. When Xenoblade comes to Switch I will for sure regret not having one. I couldn't get into the Wii-U version though. Like you I pretty much have games for life. Oh ive also busted out some sports games lately. I can't believe how good NBA 2k is. I imagine the Switch version is off the hook. I sure wish Stardew Valley would come to 3ds. I would for sure get that.